Have you ever heard of Adora® Calcium Supplements? I, myself, hadn't heard about them until I was recently asked to review their supplements for you all. I agreed to try these supplements for a reason, and one reason only; they come in milk and dark chocolate. Swoon! Okay, that wasn't the only reason why I decided to review this product. 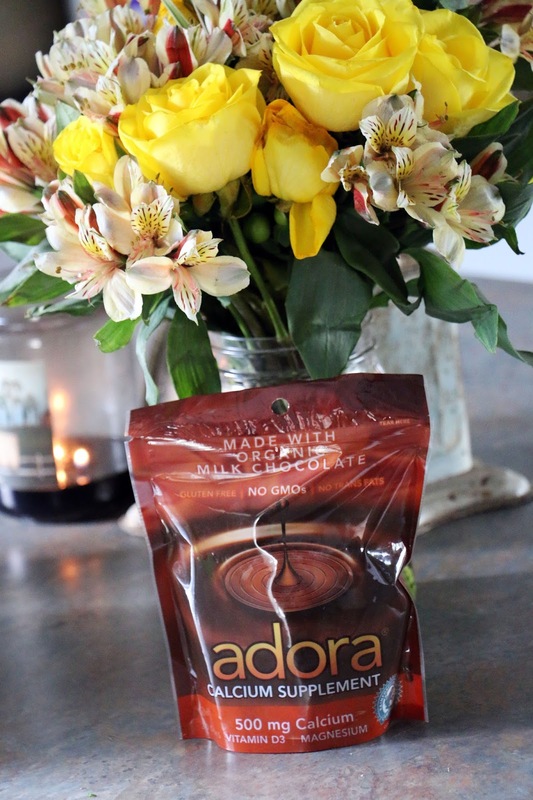 According to Adora®, their product delivers women the calcium they need for bone health in a rich, decadent chocolate formulation that now has even more Vitamin D3 (500 IU) for improved calcium absorption. The new formula is made with only organic milk and dark chocolate from Rainforest Alliance Certified cocoa. And because they are now organic, the new formula also contains no GMOs. When I took my first bite of Adora® Calcium, I was expecting a chalky vitamin-like taste, but; no sir! 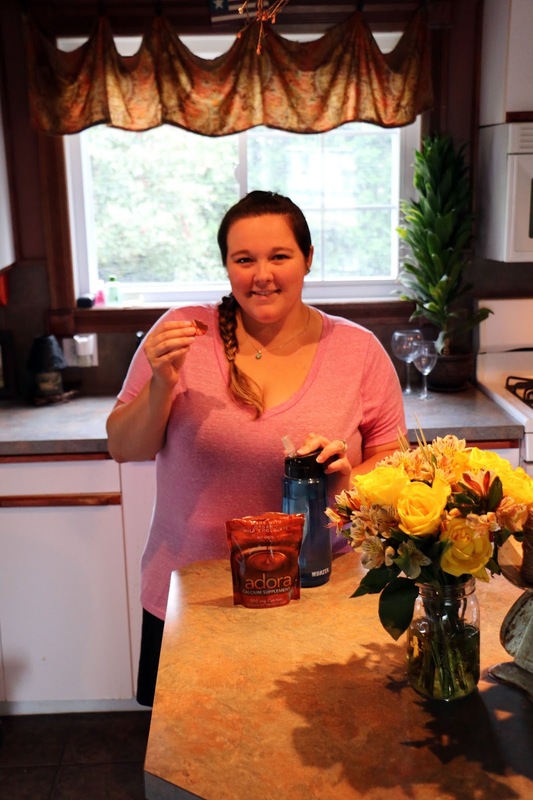 These supplements are a complete treat to eat! Better yet, just two of these delectable solid chocolate disks (at only 30 calories each) provide 100% of the daily recommended value of calcium! Let's just say that last night I got my daily recommended value of calcium for the next two days. I'm a definite fan of the milk chocolate variety! In a recent survey of American women, nearly half said calcium and Vitamin D are the most important supplements they take every day. As a woman who has severe Vitamin D deficiency, myself, I can vouch for that! Forget Flintstones vitamins; pass me the chocolate, please! Adora® Calcium is gluten free, certified Kosher and contains no trans-fat or artificial sweeteners. For more about Adora® Calcium, check out their Facebook page, Twitter and/or website! Readers, have you ever tried or do you think you'd give Adora® Calcium supplements a try?